Informative, thorough, and easy to follow, this book is designed to help the millions of people with co-occurring disorders thrive and be their own best recovery advocates. 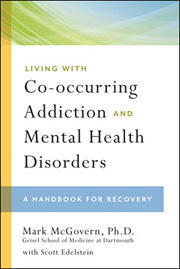 Living with Co-occurring Addiction and Mental Health Disorders includes several exercises to introduce readers to the early stages of recovery. Clinicians or their clients can download the following worksheets, print them and do the exercises.